This salon is situated on Main Street in Clane and its staff have more than 20 years' experience in cutting and styling hair. 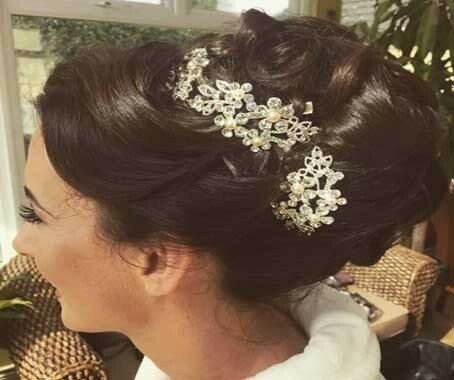 It offers specialists in bridal and occasion styling, so you can be confident your hair do will remain beautiful and photo-ready throughout the day - from morning to dusk. What's more, Tangles Hair Design has a relaxing, friendly atmosphere, so you can leave the stress of wedding planning at the door when you come here to get your hair done. Instead, you can enjoy being preened and styled, leaving the salon ready to walk down the aisle. Interested in this wedding hair salon? Get in touch with Tangles Hair Design on its Facebook page today. Provide your details below and Tangles Hair Design will be in touch soon.